News: Although I detailed this story in a past post, it’s worth mentioning again. Angel Beats!, the beautiful Key series from the summer, isn’t quite over. The final DVD release, coming out in Japan in December, will contain an epilogue. Views: The details are sparse at this point – we don’t know what characters will be featured or if an epilogue means 5 minutes or 25 minutes. Either way, it’ll be great to revisit this series, which has much to say about life, death, forgiveness and sacrifice. 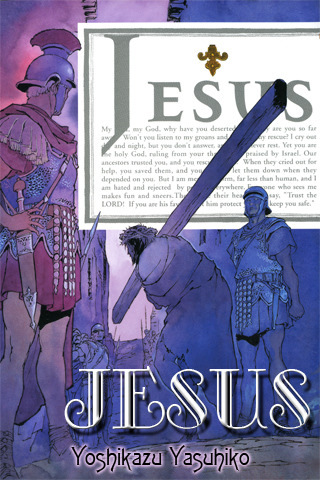 News: The manga, Jesus, is among several new ones available to download onto your iPhone. It was created by famed mangaka, Yoshikazu Yasuhiko. Views: I’ve never read this manga – has anyone out there? Yusuhiko is certainly a credible mangaka, with important manga and anime to his credit. The illustrations look nice and the story is supposed to be accurate. I certainly want to check it out. Aorii discussed how Natsume goes along the path of Buddhist enlightenment in Natsume Yuujinchou. Canne also discussed Natsume Yuujinchou, but along the lines of Asian religious tradition and his own belief in spirits. Animekritic goes in depth about Harlock’s connection to religion and leged. 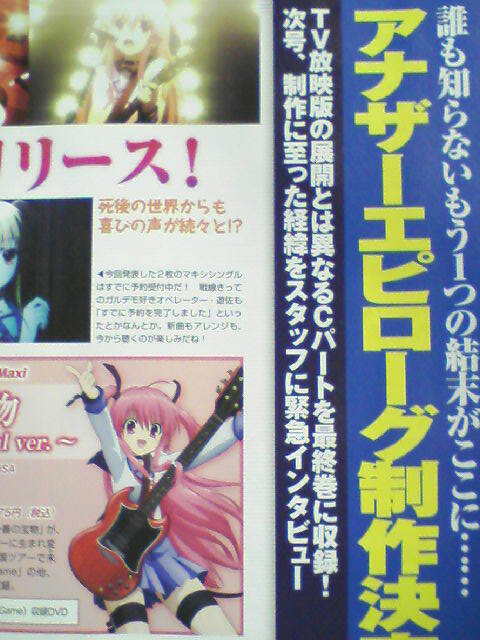 I hope they do a very good job with Angel Beats! epilogue. I actually think they need to remake the series into 26 episode series. You’re absolutely right about the 26 episodes. This series obviously needed to be expanded. Because it was rushed, a lot of the emotional impact was lost and the character development suffered; it was a 26 episode series compacted into 13. In my book, Angel Beats was about an 8.5 out of 10…I think it might have been a perfect 10 if the show was 26 episodes.